It’s been a long time coming but a Sennheiser-branded alternative to the AirPods has arrived. Better yet, they're worth the wait. Landing on Austraian shores well after more-mainstream fare like Sony and Plantronics, the Sennheiser Momentum TW earbuds bring the German company's usual MO to a modern, true wireless form-factor. They're sleek and they sound great, though the high asking-price is a harsh caveat. And while the Momentum TW are expensive, they do everything they can to make that expense feel worth it. Despite the odds, they're good enough that - if you've been waiting for them - they might be both worth the wait and the higher RRP. How Do The The Sennheiser Momentum TW True Wireless Earbuds Feel To Wear? If you've ever used a Sennheiser product before, this next part won't surprise you. The Sennheiser Momentum TW earbuds are super-comfortable to wear, both for short sessions and longer listens. They utilise a similar kind of moulded-plastic approach to that found in Jabra’s Elite range. Nifty aesthetics pay practical dividends here. In fact, across the board, the Momentum TW live live up to the Sennhesier legacy for material design. They’re nice to behold. They're easy to set up, simple to operate and a snug fit within their carry-case when not in use. Amidst the many alternatives that fail to get the basics right, the Momentum TW are an oasis of quality. Everything that's appealing about true wireless earbuds manifest here. It’s not that hard to imagine how Sennheiser could push things further. But, right now, they’re a whole better than most of the competition. That said, the Momentum are more everyday earbuds than they are fitness or sports earbuds. They only come with a humble (though not wholly insignificant) IPX4-rating for splash-resistance. Basically, they’ll handle the odd splash but don’t go swimming with them anytime soon. The last piece of the puzzle here is the Sennheiser Smart Connect app. Though it doesn’t let you get particularly granular with the output on the earbuds, it does feature all the usual and expected features. You can customize the controls for the earbuds to your liking and play around with the sound signature via an equaliser. When it comes to smarts, the Monmetum TW play nice with Siri and the Google Assistant but little beyond them. It’d be nice if they offered support for more exclusive options like Bixby and Cortana. 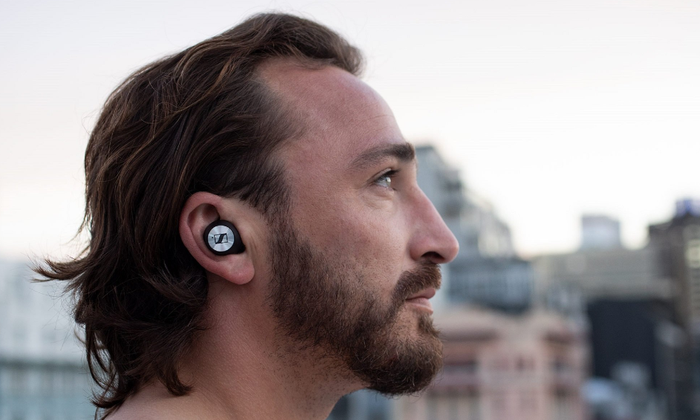 Somebody has to - and if you’re going to position yourself as the be-all-end-all $500 set of true wireless earbuds, that someone may as well be you. How Do The Sennheiser Momentum TW True Wireless Earbuds Sound? The short version here is that the sound quality of the Sennheiser Momentum TW is striking in clarity and consistency. During our time with them, we've yet to encounter a single dropout or connectivity issue. Again, their higher cost relative to all the other options has to be considered. But, all the same, these are an impressive feat for the brand's first entry in the niche. 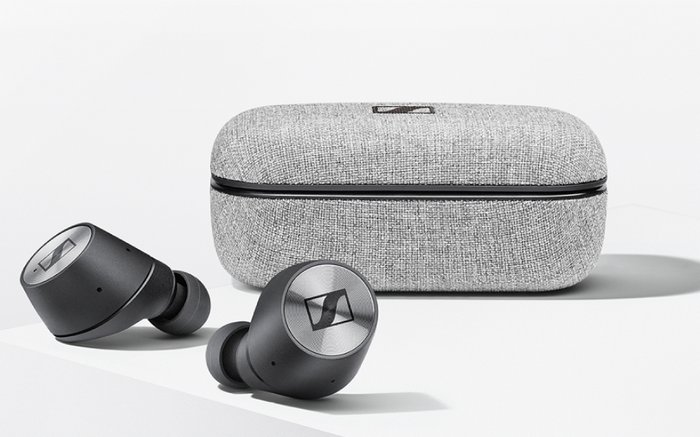 The Momentum TW come Bluetooth 5.0 compliant and with support for AptX, and they sound great in action. There’s no noise-cancelling - which is a shame - but the 7mm dynamic drivers humm with bass and energy and life. These days, I’ve been listening to more and more podcasts. But the Sennheiser Momentum TW sounded good enough that they made me want to actively start listening to more music again. These felt like earbuds ready to throw back brilliance at me no matter what I threw at them. I had a great time listening to the bombastic “What’s Up, Danger” and the swanky verve of Montaigne's "For Your Love". The Momentum TW also did a phenomenal job of bringing out the smaller details in more melodic fare like Amanda Palmer’s “Drowning In the Sound". Are The Sennheiser Momentum TW True Wireless Earbuds Better Than Apple’s AirPods? Both for sound quality and form-factor, the Sennheiser Momentum TW are a clear step above Apple’s true wireless earbuds. If you’re asking which one offers the better experience, I’d recommend the Momentum TW in a heartbeat. That said, there are two things working against them. Or, at least, two things worth considering before audiophiles buy in. The first thing is the cost. The Sennheiser Momentum TW earbuds are $500. This is double the asking price of Apple’s AirPods. They’re pretty much the most expensive true wireless earbuds you can buy. While they do offer a premium experience with no real faults, spending $500 on a set of earbuds is going to be a tall ask for plenty of potential buyers. The other catch here is the battery life. The Sennheiser Momentum TW earbuds offer four hours of playback per charge, with another eight contained on the charger case. Totalling in twelve hours of playback total, they’re a clear step below not only Apple’s offering but most other true wireless options out there. If you have the money to burn, you won't regret opting for the Sennheiser Momentum TW over the AirPods. In this respect, these earbuds aren't all that different to most Sennheiser products. However, if you don't have the money (or would rather save it), the shortfall in battery life is going to make it a hard sell. How Do The Sennheiser Momentum TW True Wireless Earbuds Compare To The Rest Of The Competition? Again, when it comes to the fundamentals of the experience, the Sennhesier Momentum TW earbuds excel. These earbuds are nicer in build quality and form-factor than the broad majority of true wireless earbuds out there. Unfortunately, when it comes to battery life, they don’t hold up as well. Most, though not all, of the other options leave the Momentum TW in the dust when it comes to battery life. And at the end of the day, that matters. Your $500 pair of earbuds are no good if they’re out of battery and the difference in battery life here is significant. 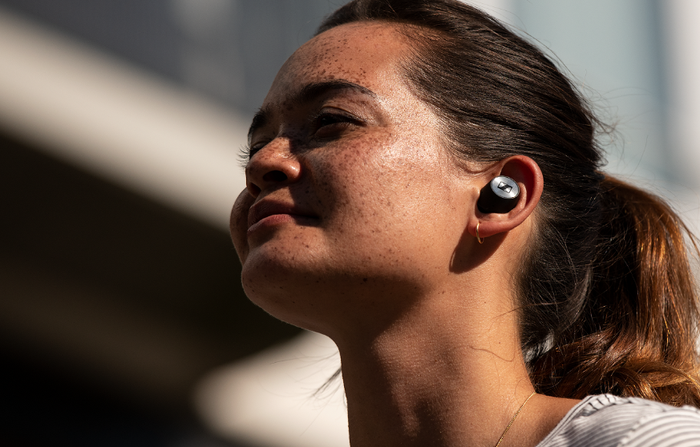 You’ll get more playback of Jabra, JBL and Zolo’s efforts in the true wireless space than you will out of these earbuds - and at a much better price. 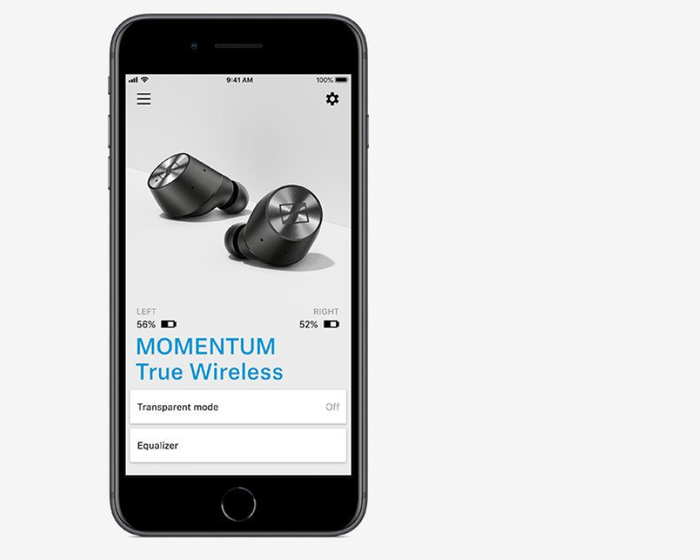 If you'd like to know more about how the Sennheiser Momentum TW true wireless earbuds compare to the other options, be sure to check out our comprehensive buyer's guides here and here. The Bottom Line: Should You Buy The Sennheiser Momentum TW True Wireless Earbuds? Straight up, the Sennheiser Momentum TW are the best sounding and most comfortable set of true wireless earbuds I’ve reviewed in some time. Able to stomach the high price and mediocre battery life? Great! The Sennheiser Momentum TW are the strongest debut of an audio brand in the true wireless space I’ve encountered since the Zolo Liberty+. If you're the kind of user who doesn't bat an eyelid at the idea of paying more for the audio fidelity, you're unlikely to regret doing so here. As for everyone else, these are more of a product you’ll want to keep an eye on than one you should rush out and buy right this second.